Do you have a love of theatre and performance? Do you enjoy working collaboratively and creatively as part of a team? Taking Drama and Theatre A level will allow you to build on your performance skills and give you the opportunity to explore drama as a practical art form in which ideas and meaning are communicated to an audience. Through practical experience and exploration you will gain confidence as both performer and theatre maker. 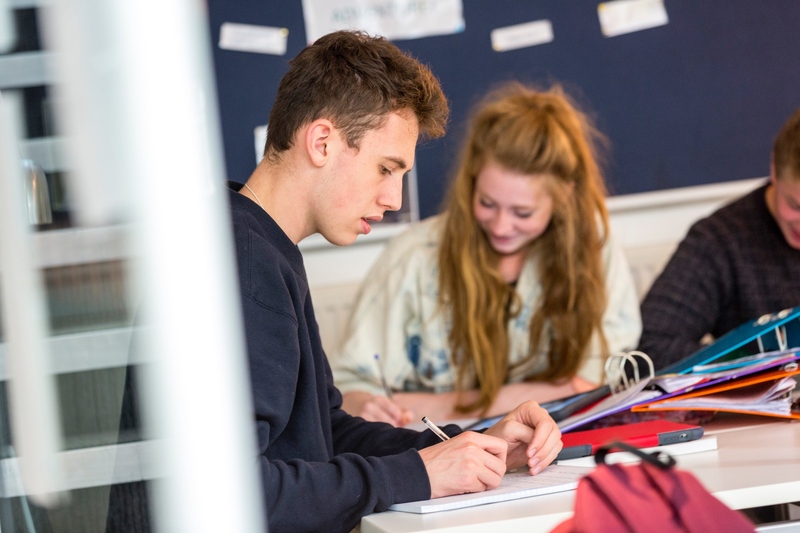 A level Drama and Theatre combines a very practical approach with theoretical study and you will explore a wide range of theatrical styles and contexts. This is a linear qualification and the course is divided into three components - Drama and theatre, Creating original drama and Making theatre. Drama and theatre is the written component and for this you will undertake an in depth study of two play texts from a prescribed list. Through a combination of discussion and practical exploration you will consider how to interpret and bring the texts to life for an audience from the perspectives of performer, designer and director. You will also learn how to discuss live theatre performances seen during the course. This component is assessed through a written exam. For the Creating original drama component you will work in groups to create your own original piece of performance work. The final component, Making theatre, you will explore three different extracts of plays from a practical perspective as a theatre maker. You will choose one of these to develop into a polished piece of performance for assessment. For each of these practical components you also you will study the work of an influential theatre practitioner and you will use your knowledge and understanding to link your findings to your own performance work. Whatever the future holds, students of A level Drama and Theatre emerge with a toolkit of transferable skills preparing them for their next steps. Devised piece must be influenced by the work and methodologies of one prescribed practitioner. Methodology of a prescribed practitioner must be applied to Extract 3. Extract 3 is to be performed as a final assessed piece.